As the weather slowly starts to warm up here in the Bay Area, we’re busy planning out what our year is going to look like. One task we set for ourselves is to host more events in the coming months. These events will range from weekend Cars & Coffee meets to private track days, and even a potential organized rally trip. To kick off our event plans, we held our first private track day of 2017 on February 26th. We reserved Thunderhill’s West course for the day, and the weather couldn’t have been nicer. It was breezy, sunny with scattered clouds — essentially ideal. Our driver count was about 30, and it was great to see that many brought a partner or friend along. Our team driver, Matt Powers, was available for one-on-one driver consultation and coaching for a prearranged fee. The point of hosting a smaller group of drivers in this manner is to maximize the experience for both drivers and track/host staff. In order to attend these private sessions, we require that each driver have a minimum number of track days and seat time. This ensures that our point-by format will flow smoothly throughout the day. The most important aspect of these events is safety, and we take that very seriously. That said, we were fortunate to have a day full of seat time and absent of any major problems. Many of the drivers took turns both driving their own cars on track, and riding along with other drivers in their cars. Having this option gave a great deal of insight to those who wanted to familiarize themselves with the course, as a driver or a passenger. 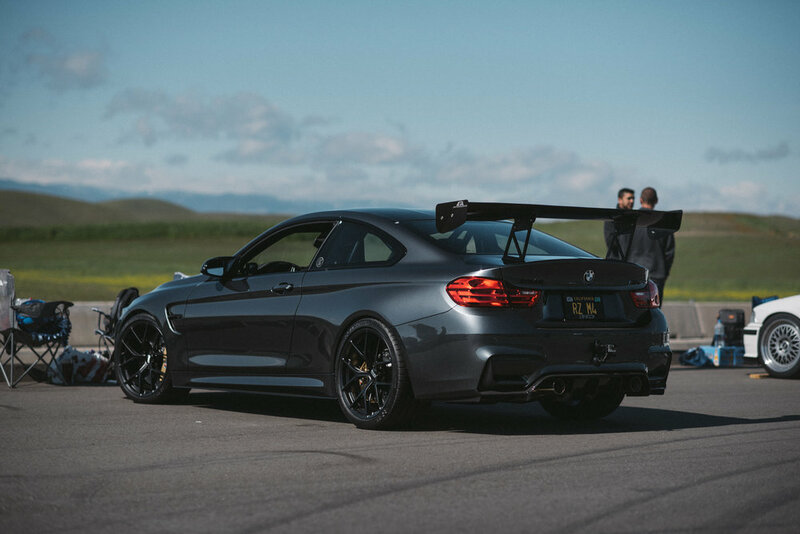 As you’ll find in the photos, the event certainly wasn’t limited to just BMW. Since we’re interested in finding out exactly what benefits our attendees take away from these events, we reached out to a few drivers who were there that day. We asked a short variety of questions regarding their track experience, and what they think of our track day arrangement. Their input aligns exactly with why we host these events, so we are thrilled to hear positive feedback. 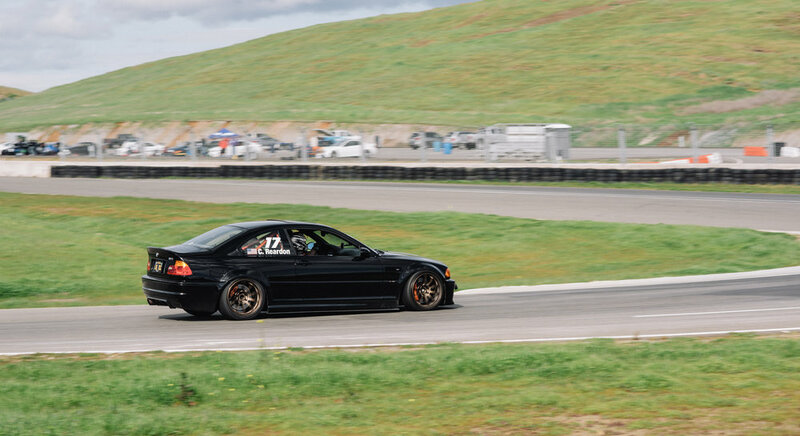 How many track days have you attended, and what got you into it? Baron: I think by now, I’ve probably done close to 30 track days. I was new to driving manual, and wanted to learn to be a better driver. 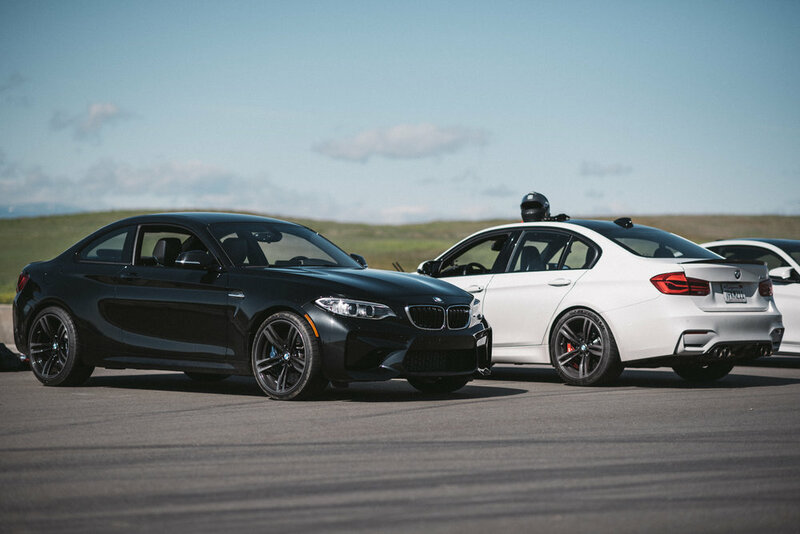 Initially I did an HPDE, since it was one of the things you could do after participating in a BMW CCA Car Control Clinic. My first track day was a rainy one at Laguna Seca, and being able to drive a world famous track in my own car was exhilarating. I was hooked after that. What exactly do you get out of tracking your car, and why do you do it? Baron: I’ve taken several of those personality tests and every time, I pretty much get the same result: I’m a perfectionist. What’s nice about tracking a car, no matter when you go back to the track, is that the layout is the same. This allows me to slowly get better, I get a chance to really learn a track and try to improve my lap time with each visit. My car and I have grown together over the years getting better and better, it’s a blast progressing together. Another fun part is surprising people with the fact that I do this. Most look at me and think nerd, not race car driver. We host an open track format with 30 drivers or less, with tons of track time. Do you find this to be a better experience? Baron: Yes, it’s a much better learning experience. When you do a typical HPDE, you get placed in a run group, sometimes above or below your skill level. With the rigid structure of the event, you have this internal pressure put on you maximize your drive time, and you tend to get frustrated or agitated. Some examples include when your group gets onto the track late, when a slower driver is in front of you and you can’t pass, when the course gets black flagged and you have to pull off, and when others don’t drive so politely (being aggressive or rude). When this happens, it becomes less enjoyable and more “work” as you’re trying to get in as many laps as possible. With an open track format and a smaller group, everything becomes more relaxed. You care less about the slower car in front because you know you have no time limits, and eventually you’ll get a safe chance to pass. With the smaller group, you have a chance of knowing everyone on the track so it becomes more friendly. You know that the car coming up in your rear view mirror is piloted by a really good driver, so you let them pass. The slow one in front of you happens to be a newer driver, so you take it easy, put less pressure on them, and pass when safe. In the end, everyone is happy. What I have noticed is that I still drive about the same amount of time that I would have in a traditional HPDE setup. 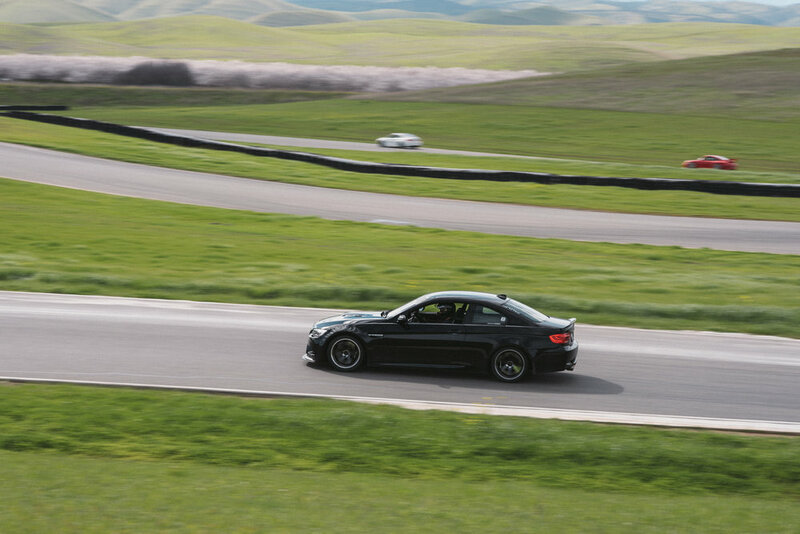 Chris: I have attended 15 - 20 track days in the two years since purchasing my M3. What originally interested me in tracking my car was my childhood passion for car racing and technology. My earliest memories are at race tracks, helping my parents marshall British Touring Car events. Being able to track my own car allows me to fulfill my passion for racing. 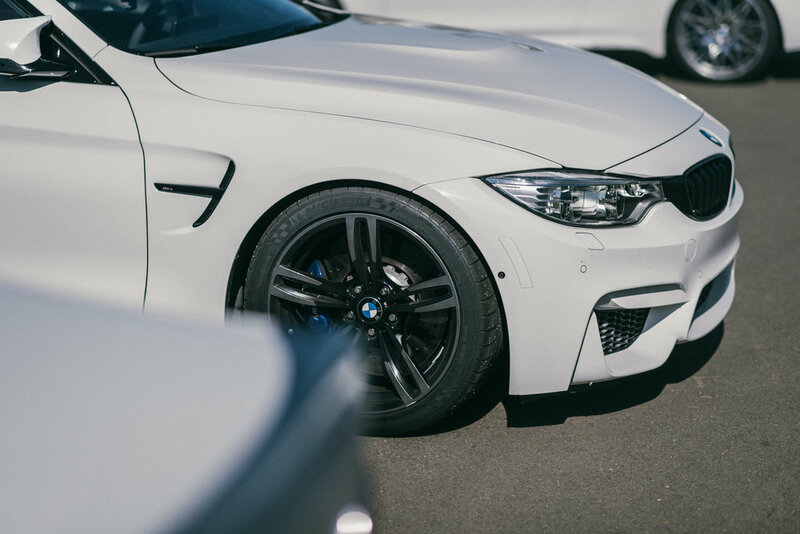 Have you always been a BMW enthusiast, or do you have another car brand that you appreciate? Chris: I have always been a BMW enthusiast for the most part. My favorite cars growing up were always the E36 four door 3 series cars that raced in the BTCC. 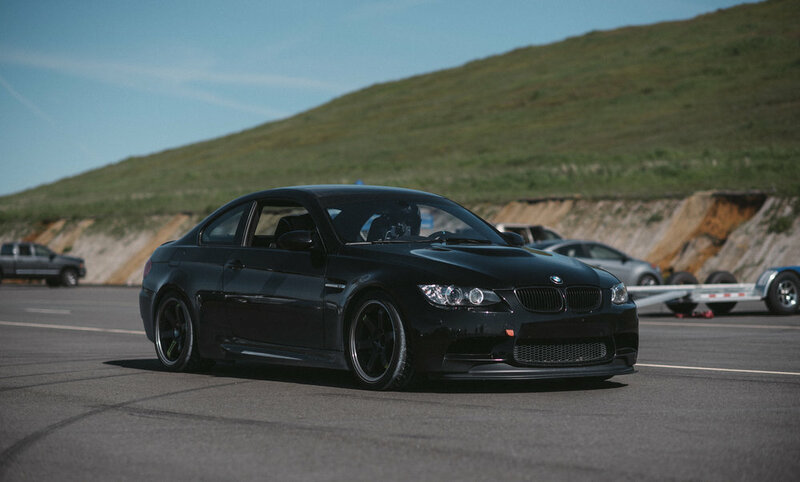 Also, when we moved to California, our good family friend had an E46 ZHP that always caught my fancy, in addition to other BMWs. I also appreciate Porsche because of their extensive results in endurance racing, and their current crop of cars is very driver oriented. They give much more raw driving experience. Most other companies are trending away from what Porsche is currently prioritizing. 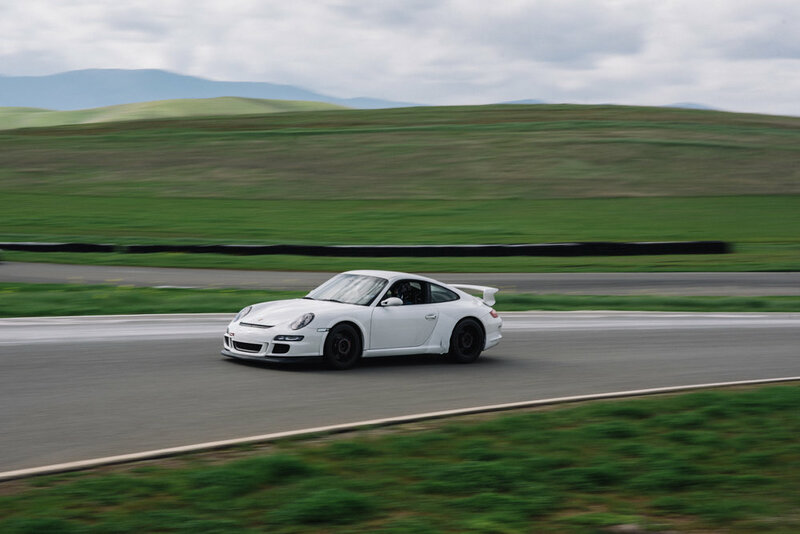 Chris: The PTech format of private track days is by far my favorite. I think that no matter how experienced (or inexperienced) you are at the PTech days, you can always learn something from other people. The atmosphere is a whole lot less pressured and less stressful than having specific run groups at specific times with unknown drivers. It’s a learning experience because the coaches that are there are actually racing drivers, and are approachable to help both beginners and extremely advanced drivers. Chris: Firstly, I have met an amazing group of friends who share the same passion and have many of the same interests that I do. We all help each other better ourselves in our cars on track. I enjoy learning how we each individually better our driving techniques with each track day we spend together. I get great satisfaction in seeing people improve their lap times and learn to drive their cars controllably faster. I think cars and racing will always be a huge part of my life, and ultimately that’s why I do it. Atrina: I’ve always been a BMW enthusiast, but I love Porsche as well. I grew up with BMWs, and so they’ve always been my “first love” of the car world. My uncle had a 1976 2002 that he sold to my brother. My brother then had an ’88 M3 and a ’71 2002 that had been fully converted to a tii. My uncle later had a 993 CS2 that he sold for a Dinan Z3 M Coupe, and my mom had a 996 C4S. The Porsche driving experience was different from BMW, but provided just as many butterflies. While I’m over the moon with my E46 M3, I’d definitely love to own a 997.2 GT3 in the future. 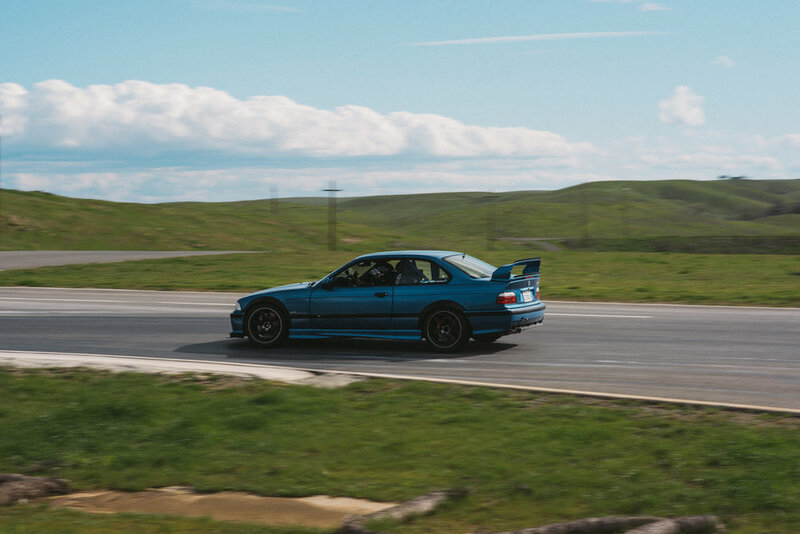 What do you enjoy most about attending HPDE events? Atrina: I love attending HPDEs because I learn something new every session. There’s such a strong community surrounding HPDEs, and almost everyone is willing to provide some pointers or take you out for a ride. It gives you a chance to learn from people you may not otherwise talk to, and in my opinion, that helps you grow as a person and a driver. It’s very rewarding to take a new line or brake a little later, and see the results quantified in your lap times. I love learning, and HPDEs are a great place to do that. Atrina: I have attended six track days. I grew up going to events at Laguna Seca, so I always had an interest in tracking but never had the guts to act on it. Last June, my boyfriend asked me to do a track day with him and I finally decided to give it a try. After one session I was hooked, and it’s quickly become our favorite thing to do together. Atrina: Absolutely. I feel that the open format provides so much more room for growth. I was able to go out on my own, then come back in and go out with someone more experienced. This showed me where I could improve. I was also able to spend a lot more time on track practicing my lines, and implementing what I was learning immediately. For example, Chris Reardon took me out for some hot laps after I expressed frustration with my lines. Right after we came in, I was able to go out and practice what he had taught me. Shortly after, Matt Powers provided me with some excellent coaching, and I was able to implement his suggested adjustments lap by lap without having to worry about time. The PTech days provide so much more seat time as a driver and passenger, and that’s the best way to learn, in my opinion. 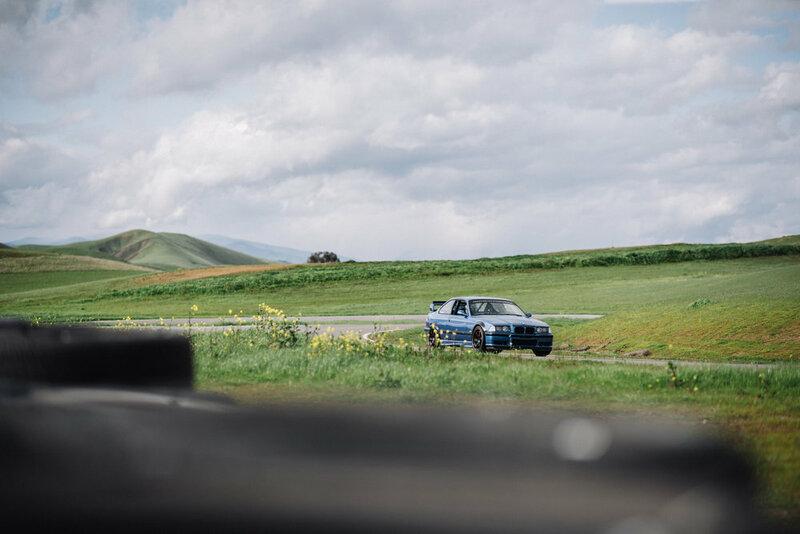 We're already looking forward to our next private track day, which takes place on March 26th. We welcome any questions or feedback about our track events, and hope to see many more customers at our future sessions.